Activa is our complete product range of buoys and equipment specially designed for aquaculture and fish farming. In the development of the Activa series, we have built on our expertise and long experience with production of buoyancy to the offshore industry worldwide. A lot of the learning we have obtained from some of the world’s roughest seas. Active aquaculture buoys are a complete range from 800 to 12,000 liters. 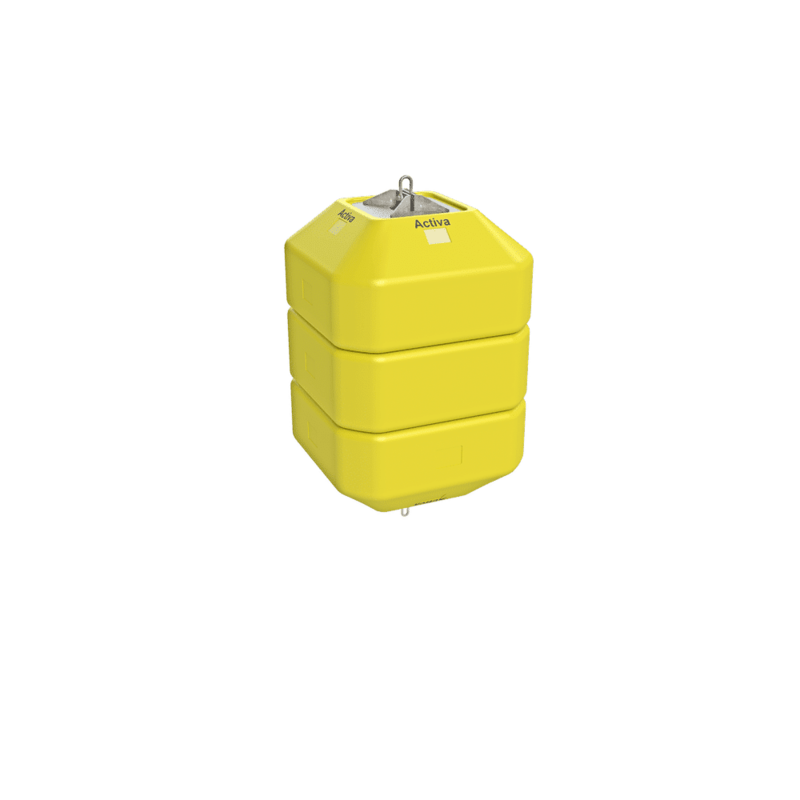 The buoys have an outer shell of impact-resistant, rotational molded polyethylene (PE). The buoys are filled with expanded polystyrene foam (EPS) and has excellent flotation qualities that have been tested and developed over many years. All buoys have through-chain fittings. PartnerPlast’s Activa buoys can be returned to us for recycling! © 2017 PartnerPlast. All Rights Reserved.